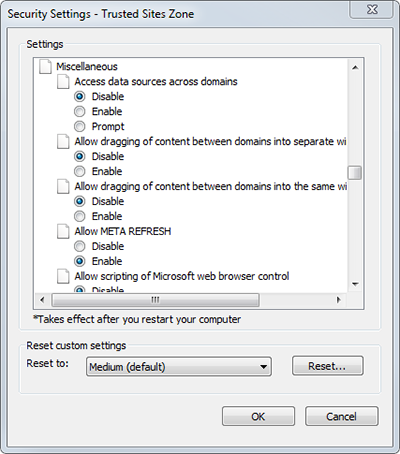 When adding files to Elvis by using the Pro client in Internet Explorer 11, take note of the issue listed below. Step 1. 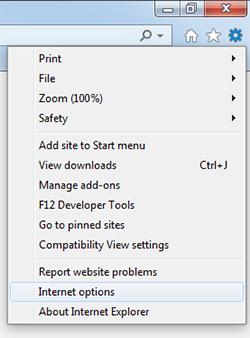 From the menu in Internet Explorer, choose Internet Options. Step 2. Select the tab Security. Step 3. Click the icon for Trusted Sites. Step 4. Click the Sites button and add the URLs for Elvis Server and Enterprise Server. Step 5. Click OK to close the window. Step 7. Click OK to close the window and click Apply to apply the settings.